Happy New Year to Everyone! I hope you enjoy reading this newsletter. Thanks to you, we had a great year in 2015 – including a ministerial visit, Naturally Healthy Week, developing a project pipeline, supporting project bids, working with partners such as the LEP, input into the devolution bid and representing LNPs in various national discussions. 2016 promises to be just as busy and productive. 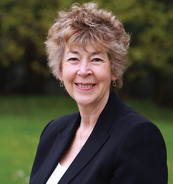 We welcome new Board members and thank Elaine Cook, Chief Executive of Devon Communities Together, for all the work she has carried out with the Board especially in reconnecting people with nature. 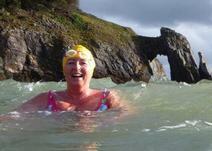 Lyn Winter from North Devon Voluntary Services is taking Elaine's Place on the Board . The impact of recent weather has emphasised the importance of the natural environment to Devon’s people. It is only by working in partnership across sectors that we can create a sustainable future for our wonderful county. Let’s enjoy working together effectively in 2016! Any issues / questions to raise with the LNP's Board? Natural Devon's Board brings together leaders from a wide range of sectors including agriculture, health, wildlife, planning, business, academia and education. The Board meet four times a year and meeting dates are on the website. If you have any issues, ideas or questions to put to the Board please email Sarah Jennings. Next meetings are January18th and April 18th. To book a place please email David Weatherley. For further details see the conference flyer. 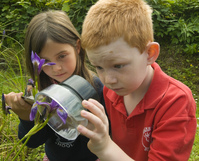 A month of activities which will encourage everyone to get outside and be 'Naturally Healthy'. If you are organising an event, would like to be a sponsor or have ideas to discuss please contact Sarah Jennings for further details, including a JPEG of the banner. A month promoting things we can all do to benefit Devon's pollinators. 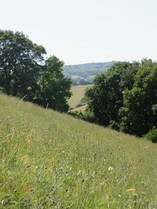 Events include a Meadow Festival at Goren Farm in the Blackdown Hills AONB on Saturday 9th July. Again if you are organising an event, would like to be a sponsor or have ideas to discuss please contact Sarah Jennings. 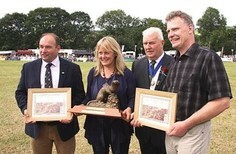 - Details of Board, Executive and other meetings are on Natural Devon's website. lick to edit this placeholder text. Last autumn Sue and Sarah represented LNPs at workshops held to kick off work on the new 25 Year Environment Strategy. A draft Strategy should be out this spring and Natural Devon will feed into the consultation process. Information will be placed on the LNP website when available. As part of a move towards the greater devolution of powers and budgets away from Westminster, the Government has invited all local authorities in England to develop local proposals. Devon and Somerset's local authorities have been working closely with Dartmoor and Exmoor National Parks and the Heart of the South West Local Enterprise Partnership on an initial submission. Devon, Somerset and Plymouth LNPs are pushing for environmental issues to be part of the submission and have produced a paper setting out five environmental proposals for inclusion. For more information see link under 'news' at www.naturaldevon.org.uk. The Heart of the South West LEP has commissioned research to look at the importance of the environment as a driver for economic growth and put forward recommendations for encouraging greater investment in the environment. To find out more contact Mark Robins at the RSPB. Joint work on a natural capital investment strategy is also being discussed with the LEP. Similar work is being carried out across the country including by Surrey and Northern Upland Chain LNPs. Updates on this work will be on the LNP website shortly. A list of priority strategic projects is being developed and discussed with the LEP and other partners. Projects include: Growth of the Wood Sector, Agricultural Resource Management (soils, water), Green Infrastructure Funds, Local Food & Communities and Environmental Training Placements for Young People. For more information, including leads for these potential projects, see the website. The Sustainable Seas Action Plan highlights the need to develop a central hub for marine environmental data. Following discussions, DASSH (the UK archive for marine species and habitat data), is developing a web-based biodiversity marine data portal for Devon. Work should be finished this spring. To find out more contact Richard White at Devon Wildlife Trust. 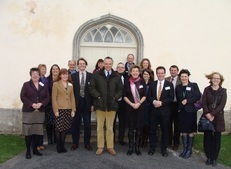 In December Devon Maritime Forum held a successful conference on Understanding, Managing and Coping with Coastal Change. See DMF's website for more details. The Exe Estuary Winter Forum is being held on 9th February at 6.30pm. See the Exe Estuary Partnership website for more information. The Naturally Healthy Working Group met in July with updates from the National Park projects, Active Devon and the Naturally Healthy Schools project. See the webpages for minutes and more information on Naturally Healthy work. The next meeting of the group is on February 11th, 2pm at Haven Banks. Active Devon will lead a workshop looking at opportunities coming out of the Government's new Strategy for Sport. If you would like to attend please email Sarah Jennings. Naturally Healthy Case Studies have been produced. If you have a story that could be written up please contact Sarah. Inspired by the Devon LNPs 2015 Naturally Healthy week Teignbridge District Council ran a summer programme of exercise classes in the green space around Old Forde House. These lunchtime events were organised by the office Health and Wellbeing Group as part of wider plans to promote a healthy and productive workplace. Natural Devon’s Green Connections working group met in July to share knowledge and tools for delivering green infrastructure (e.g. parks, allotments, cycle routes, rights of way). See the minutes for more information. To join the group contact Jonny Miller at TDC. The working group has submitted project ideas for the Natural Devon project pipeline and are working with partners to find new ways to fund exciting projects such as the Clyst Valley Trail on the edge of Exeter. A paper outlining issues around GI funding has been drafted and shared with the LEP. An exciting new social media campaign has just been launched by DCC and Visit Devon promoting tourism in Devon and our amazing cycling and walking opportunities. 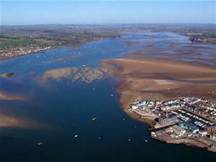 Increased housing in and around the Exeter area is increasing the recreational pressure on sensitive European Sites such as the Exe Estuary and Pebblebed Heaths. In order to protect these sites other recreational areas are being created or enhanced (known as 'Suitable Alternative Natural Greenspace'). In Exeter a new Masterplan is being prepared for the Valley Parks to improve their recreational value. The Masterplan is being informed by visitor surveys and an autumn fair. For more information see Exeter City Council's website or contact Simon Bates, GI Manager for the Exeter and East Devon Growth Point. Devon Education for Sustainability Working Group members have been organising their spring schools conference which will be held on 18th March. See links under the Events list above. The group has also been developing a project on Training Placements for Young People. More details will be available soon. Sea Green Schools® - be inspired by the Sea! An Agricultural Resource Management Project is being developed by the LNP's farming and wetlands leads. This aims to strengthen links between research (e.g. at Rothamsted) and farmers in order to improve soil and water management. To find out more contact Roland Stonex at FWAG SW.
Two of Devon's four Catchment Partnerships (leading on Water Framework Directive issues as part of the LNP) held workshops towards the end of 2015 in order to share learning and discuss potential new projects. Projects discussed at the North Devon Catchment Partnership event included Exeter University's Sustainable Intensification Platform, The North Devon Biosphere Estuary Project, Catchment Sensitive Farming work Torridge Headwaters Facilitation Project (contact Debs Deveny), Freshwater Pearl Mussel work and invasive species work. The Catchment Partnership's Action Plan is being finalised over the next few months. For more information contact Lisa Schneidau at Devon Wildlife Trust. Presentations at the East Devon Catchment Partnership event included East Devon Catchment Sensitive Farming, Upstream Thinking on the Otter and Exe, Exe Estuary Partnership, Heart of Exmoor, Barle Crayfish Project. River Otter Beaver Trial, Marine Conservation Zones and East Devon Archaeological Project. Again an Action Plan is being developed. For more information contact Pete Burgess at Devon Wildlife Trust. Facilitation funding helps to bring farmers, foresters, and other land managers together to improve the environment at a landscape scale. There are two facilitation fund projects in Devon Avon Valley Facilitation Group and Torridge Headwater Group (email Debs Deveny). Applications for next round of the facilitation fund will be open from 18 January – 18 March 2016. Work on this plan is being led by Rob Wolton (Chair of the Devon Hedge Group). A draft was discussed at the October LNP Board meeting and the final plan will be shared shortly. Please email Rob for more information. 24 people attended the Wood for Good meeting in December held at Brimpts Farm, Dartmoor (see FWAG SW Awards above). The meeting included an update on existing work and funding opportunities; group discussion on (1) farmers and machinery, (2) woodfuel hubs and (3) supplier / consumer networks + a site visit to the Dartmoor Woodfuel Cooperative wood chipping operation. See the minutes for a useful overview and contact Corinna Woodall if you'd like to join the group. Buglife and South Devon AONB are working with other organisations and farmers to create a network of B-Lines linking wildflower-rich areas across South Devon, helping our pollinators and other wildlife. View the B-Lines map here. To get involved in the project please email southwest@buglife.org.uk.